Love the rug! I actually bought the same one (go figure!) a few weeks ago because I liked it so much, but returned it last week because I couldn't figure out a place to put it. Boo! So glad it works amazingly in your space! Can't believe it's Ikea, it's gorg! It's so perfect in your dining room. Also, I love your table. Me and Jen-ay. We were like peas and carr-ots. LOVE. I've seen that rug before and didn't realize it was from ikea! 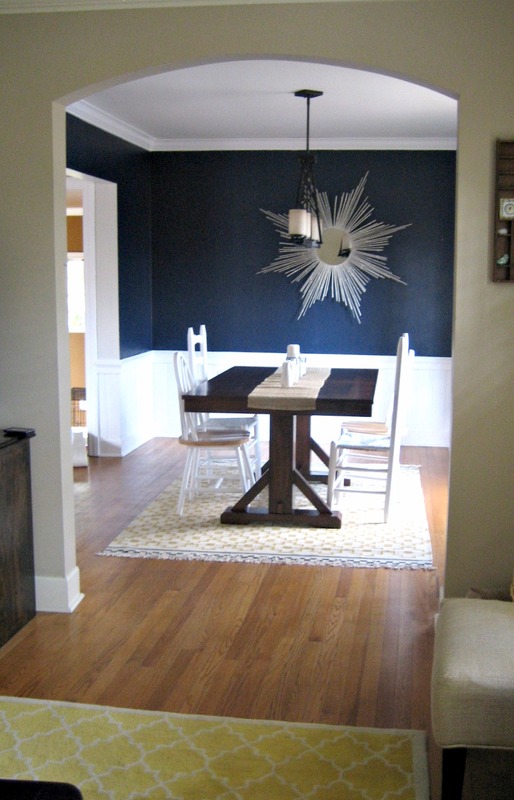 You're right.. the colors are perrrrfect for your dining room! I love it! Wish it cam in a larger size & I would grab one too. Great choice! I LOVE that rug!!!! It goes perfect just like Justin and Britney (haha). Really I love it though, great choice! 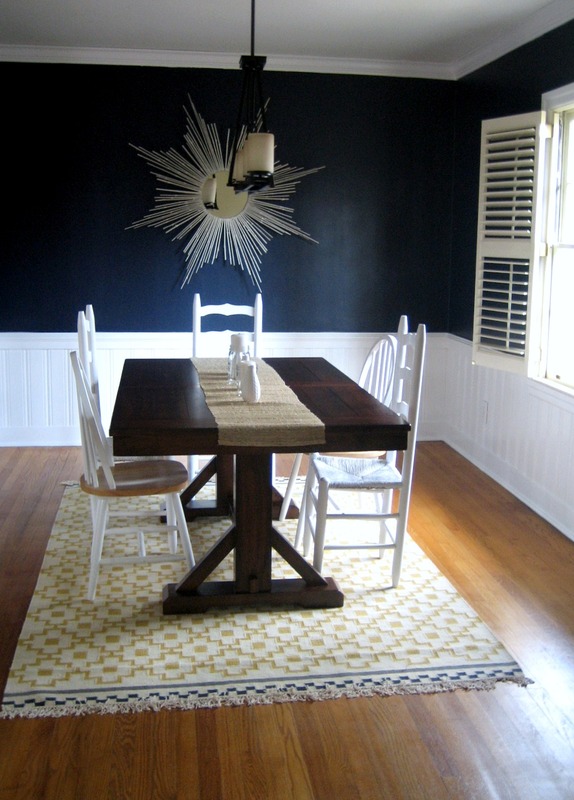 Your dining room is so pretty! Love the paint color and the fab mirror too! Meant to be! Love it. Such a great find. It looks gorgeous! It looks great! Isn't it the best feeling when you find something that just fits perfect! That is one of my Ikea favorites, too!! I tried to convince my Mom to get it a few months ago. It looks fabulous! Love it!! It's perfect for the space. And, it's a bonus when you find something so perfect and for a steal too! 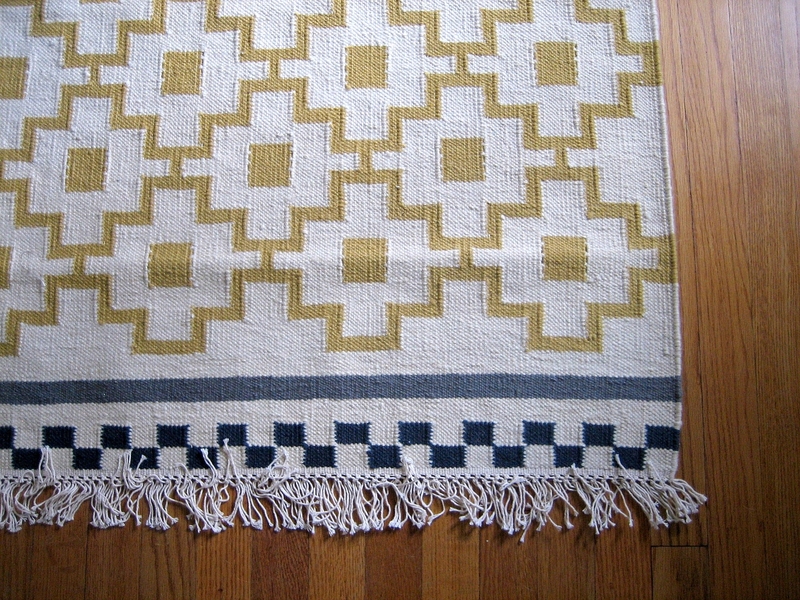 Love this rug in your room. It's the perfect color combo. I love the "high" you have after you find something you really love! This is so pretty! It's perfect in your space and I love the pattern. Your dining room is just the best. I love that rug! I almost bought it last time I was making an IKEA pilgrimage... it does go perfectly in there. Its like it was MADE for that room! Swoon! That rug looks perfect, Michelle! Definitely a match made in heaven! It IS perfect - with your dining room walls and the adjacent rug in your living room! I'm in love - its perfeeection! Girl, I was going to get that rug! But then I chickened out. It looks great in your dining room!! Nice!! I love the contrast it adds to the room and it fits in so well! Oh girl that rug looks gorgeous! Score!! That does look like it was made for your room! It's perfect and looks wonderful. Good old Ikea! 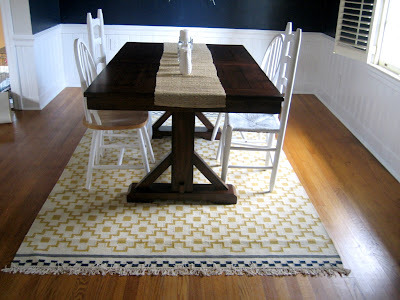 OMG... that rug is perfect in your dining room! Gorgeous! And Ikea? For real? I soooo wish there was one closer to me! you lucky duck! that thing is never in stock at my store! love that shot of the mirror too in the last pic! I LOVE the new rug!! It does go perfect in your dining room! and I soooo wish justin and britney would get back together!! Oh my goodness, I love it!! 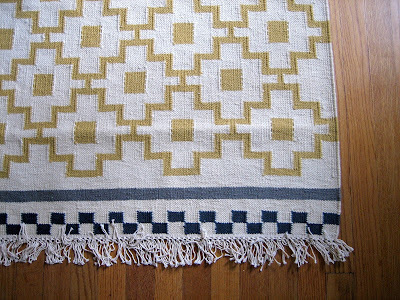 I am in love with anything Moroccan inspired so this is right up my alley! But seriously, its like it was created for that room, how exciting!! And ummm...yes I do wish Justin & Britney were still together. I think it would have saved her a lot of trouble. Hi Michelle -- Congrats on the new rug. It does look great and I think the color is perfect. But I must tell you what I truly LOVE is the color of your dining room walls. So bold and original. Will look forward to see what you do next and I so appreciate you stopping by to see us. Your new rug fits in soooo well. It's coming along really nicely! I LOVE THIS RUG!!! Seriously. Love love love. That rug is delicious. I also mourn the breakup of Justin and Britney! I love that rug! It reminds me of our office rug! Gorgeaous now I'm off to teh ikea website to check out their stuff....Oh and I LOVE your paint colour!